Eliminating disparities in cancer care requires more than just expanding Medicaid coverage, say cancer epidemiologists who found that patients with private insurance seemed to have a survival advantage. Privately insured people with cancer were diagnosed earlier and lived longer than those who were uninsured or were covered by Medicaid, according to two recent studies. In one study, researchers examined data from more than 13,600 adult patients who had glioblastoma multiforme, the most common type of malignant brain tumor, between 2007 and 2012. The other study analyzed data from more than 10,200 adults who were diagnosed with testicular cancer between 2007 and 2011. Both studies, published online in the journal Cancer in August, relied on data from the National Cancer Institute's Surveillance, Epidemiology, and End Results program. SEER tracks cancer incidence and survival in the United States. The two cancers generally progress very differently. Glioblastoma multiforme is very aggressive; patients generally don't live much more than a year following diagnosis and the five-year survival rate is less than 5 percent. Conversely, testicular cancer responds well to chemotherapy even if it has spread to other parts of the body. The 5-year survival rate overall is 95 percent. But regardless of cancer type, patients with private insurance had a survival advantage. 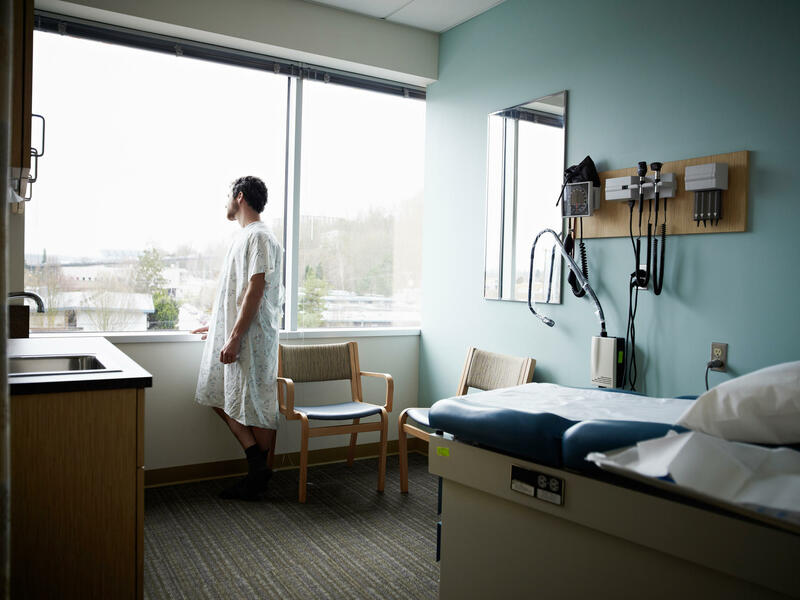 In the testicular cancer study, uninsured patients were 26 percent more likely to be diagnosed with metastatic disease (meaning their cancer had spread elsewhere) than privately insured patients. Medicaid patients were 62 percent more likely to have metastatic disease. Though the Medicaid patients fared worse than the uninsured patients in this regard, that might be because, until recently, some of them, too, had been uninsured, the researchers say, and only enrolled in Medicaid after their cancer was diagnosed. Compared to privately insured men in the study, uninsured men were 88 percent more likely to die of the cancer, and Medicaid patients were 51 percent more likely to die of the disease. A similar pattern emerged in the glioblastoma multiforme study. Patients who were either uninsured or on Medicaid were more likely to have a larger tumor at the time of diagnosis. An uninsured patient was 14 percent more likely to have a shorter survival time than someone who was privately insured, while a patient on Medicaid was 10 percent more likely to have a shorter survival time, the study found. There were some treatment differences, as well, between the patients with private insurance, and those who either had Medicaid or were uninsured. And those treatment differences could affect survival. "We were expecting that the uninsured would do worse than insured patients, but we didn't expect that Medicaid patients would do significantly worse than [privately insured] patients," said Dr. Wuyang Yang, a research fellow at Johns Hopkins University School of Medicine, who co-authored the study about patients with brain tumors. Sarah C. Markt, the lead author on the testicular cancer study, says she found the Medicaid results in their study striking as well. The findings indicate that eliminating disparities in cancer care requires more than just expanding Medicaid coverage, says Markt, a research associate in cancer epidemiology at the Harvard T.H. Chan School of Public Health. Under the health law, roughly two-thirds of states and the District of Columbia have expanded Medicaid coverage to adults with incomes up to 138 percent of the federal poverty level (about $16,400). "These are young men dying of a potentially curable disease," Markt says. "There are many opportunities for improvement here."